December 22: 5 POWER Lessons From 5 Leaders Who Made History On This DAY! Success isn't just about what you accomplish, but what you inspire others to do. There are people of great successes who are and will be an inspiration to the world for centuries together. Here we bring to you lessons from the experience of such great leaders born this day! 1. Age and Success needn’t always be proportional. 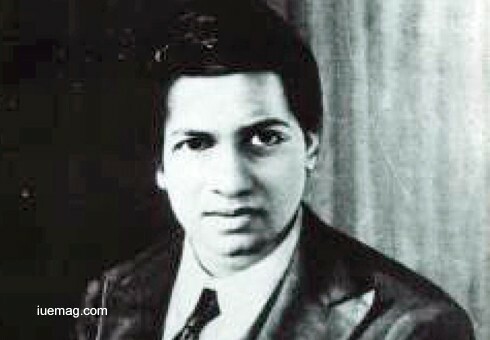 Recognized as one of the greatest mathematicians of all time, Srinivasa Ramanujan, was the second Indian to be inducted as a Fellow of the Royal Society, which is a Fellowship of some of the world’s most eminent scientists, where he was one of the youngest Fellows in the history of the Royal Society. By age 11, he had exhausted the mathematical knowledge of two college students who were lodgers at his home. He later mastered advanced trigonometry by the age of 13 while discovering sophisticated theorems on his own. By 14, he began to receive merit certificates and academic awards that continued throughout his school career. Ramanujan was shown how to solve cubic equations in 1902 when he was 15; he developed his own method to solve the quartic. When he graduated from Town Higher Secondary School in 1904, Ramanujan was awarded the a prize for mathematics by the school's headmaster, Krishnaswami Iyer, who introduced him as an outstanding student who deserved scores higher than the maximum. During his short life of 33 years, Ramanujan independently compiled nearly 3,900 results. Nearly all his claims have now been proven correct. His original and highly unconventional results, such as the Ramanujan prime and the Ramanujan theta function, have inspired a vast amount of further research. Though he had almost no formal training in pure mathematics, he made substantial contributions to mathematical analysis, number theory, infinite series, and continued fractions. He was also elected a Fellow of Trinity College—the first Indian to be so honoured. 2. Belief creates the actual fact; the only limits you have are the limits you believe. 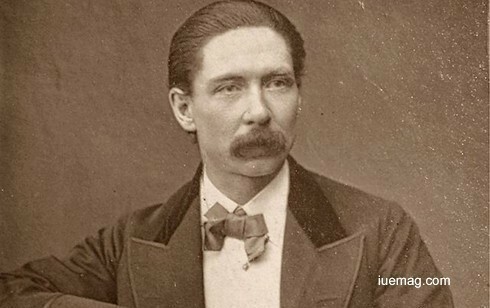 John Nevil Maskelyne was an English stage magician and inventor, who was the first in a long line of Maskelyne magicians. He was also the inventor of the pay toilet, along with many other Victorian-era devices. Maskelyne became interested in conjuring after watching a stage performance by fraudulent spiritualists. He saw how the spirit cabinet illusion worked, and stated to the audience that he could recreate their act using no supernatural methods. With the help of a friend, cabinet maker George Alfred Cooke, he built a version of the gigantic cabinet. Together, they revealed the trickery to the public at a show in Cheltenham in June 1865 when he was still in his early 20s. Encouraged by the acclaim they received for their clever exposure of the deception, they decided to become professional magicians and organised tours, building on their initial routines and expanding their programme. Maskelyne and Cooke invented many illusions still performed today. Maskelyne was adept at working out the principles of illusions, one of his best-known being levitation. As well as becoming a very accomplished performer on stage and presenting illusions, Maskelyne invented a number of mechanical devices. The most notable was the first British Typewriter and Brass Door Lock on London public toilets that required the insertion of a penny to operate the door. These toilet door locks were found throughout the British Empire. 3. You can become a great leader, not with your power but with your ability to empower others. Famed as a warrior, poet and philosopher, Guru Gobind Singh’s contributions to Sikhism were many including the tradition of covering one's hair with a turban. 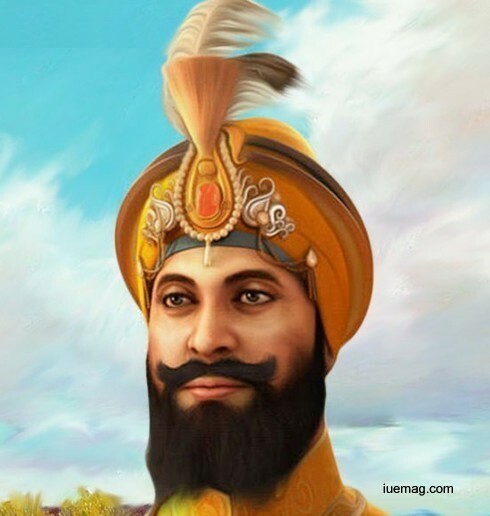 When his father, Guru Tegh Bahadur, was beheaded for refusing to convert to Islam, Guru Gobind Singh was formally installed as the leader of the Sikhs at age nine, becoming the last of the living Sikh Gurus. His four sons died during his lifetime in Mughal-Sikh wars – two in battle, two executed by the Mughal army. He infused the spirit of both sainthood and soldier in the minds and hearts of his followers to fight oppression in order to restore justice, peace, righteousness (Dharma) and to uplift the down-trodden people in this world. His teachings are very scientific and most suitable for all times. Unlike many other prophets he never called himself God or 'the only son of God.' Instead he called all people the sons of God sharing His Kingdom equally. For himself he used the word 'slave' or servant of God. Among his notable contributions to Sikhism are founding the Sikh warrior community called Khalsa in 1699 and introducing the Five Ks, the five articles of faith that Khalsa Sikhs wear at all times. Guru Gobind Singh also continued the formalisation of the religion, wrote important Sikh texts, and enshrined the scripture the Guru Granth Sahib as Sikhism's eternal Guru. 4. It doesn’t matter how many years you lived for, but how well you lived it. Live with passion, for it is the energy that can surmount every obstacle. 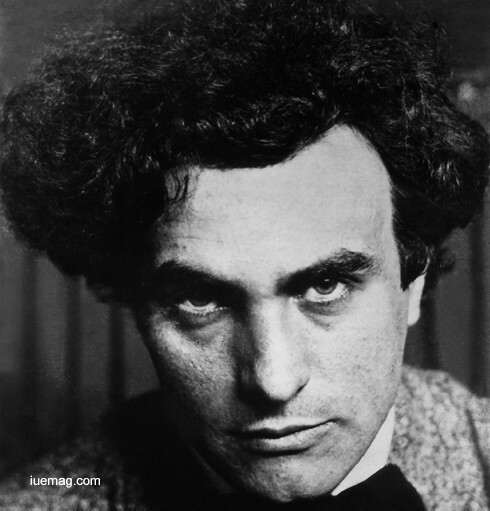 The French music composer who is known for his sonic experimentation, Edgard Victor Achille Charles Varèse alias Edgar Varese had an immense passion for electronic instruments. Although his complete surviving works only last about three hours, he has been recognised as an influence by several major composers of the late 20th century. In his formative years, Varèse was greatly impressed by Medieval and Renaissance Music. He coined the term "organized sound" in reference to his own musical aesthetic. Varèse's conception of music reflected his vision of "sound as living matter" and of "musical space as open rather than bounded". He conceived the elements of his music in terms of "sound-masses", likening their organization to the natural phenomenon of crystallization. Varèse saw potential in using electronic mediums for sound production, and his use of new instruments and electronic resources led to his being known as the "Father of Electronic Music"
Varese was actively involved in learning, researching and popularizing music so much that he could not indulge too much in composition and so, there are only about a dozen works by this legend. His music was said to be 50 years ahead of the curve. His musical experiments were recognized internationally. He was recognized with the Koussevitzky International Recording Award, in 1963. Varese influenced numerous young composers out of which, Chinese-born composer, Chou Wen-chung, was the best known. Other renowned students of this legend include Colin McPhee, Lucia Dlugoszewski, James Tenney, William Grant Still and André Jolivet. The record label ‘Varèse Sarabande’ is named after him, as a tribute. 5. Commitment is that turning point in your life when you seize the moment and convert it into an opportunity to alter your destiny. Before appearing in television, Rayburn was a very successful actor and radio performer. He had a popular morning drive time radio show in New York City. 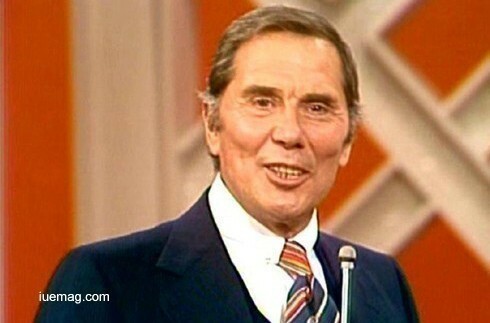 Rayburn later landed the lead in the Broadway musical ‘Bye Bye Birdie.’ Breaking into television as the original announcer on Steve Allen's Tonight, Gene Rayburn began a long association with game-show producers Mark Goodson and Bill Todman, hosting various shows. He began hosting the ‘Match Game’ from 1963. From 1973 to 1977, Match Game was #1 among all daytime network game shows—three of those years it was the highest rated of all daytime shows. Rayburn was nominated for two Daytime Emmy Awards for Outstanding Host or Hostess in a Game or Audience Participation Show. Rayburn's last TV appearance was a 1998 interview with Access Hollywood intended to coincide with the 25th anniversary of the hit CBS game show Match Game. Portions of the interview have been rebroadcast on the Game Show Network. During the years when The Match Game was taped in Los Angeles, Rayburn lived in Osterville, Massachusetts, and would commute to California every two weeks and tape 12 shows over the course of a weekend. Rayburn was always committed, to an extent that he appeared in person to accept a Lifetime Achievement Award from the Academy of Television Arts & Sciences, though in very poor health. Everyone’s goal is to succeed in life, but, sometimes we are stuck in between, when we don’t find a way to move further. These experiences from these great leaders evince how one can always find a way, if he/she doesn’t give up and continue to search for the path when lost. Undoubtedly, you will find the route to your destination!